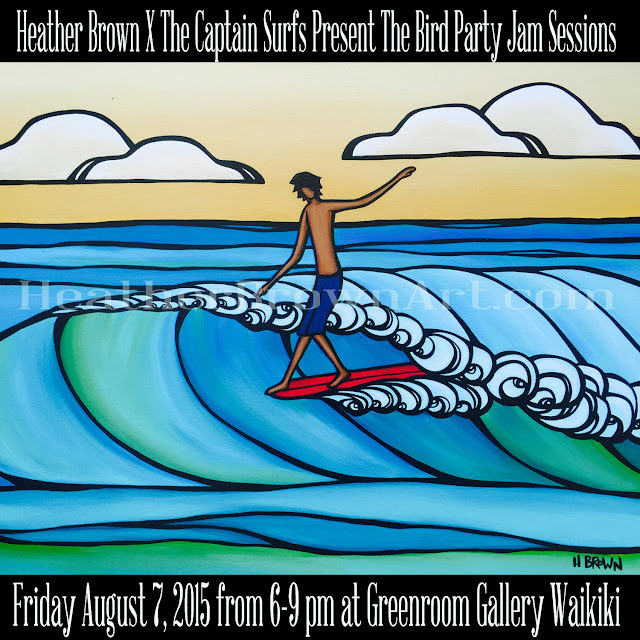 Mahalo to Greenroom Hawaii and everyone who came out to The Captain Surfs and my show this past Friday in Waikiki! What a great time, lots of collectors and friends old and new, lots of art and great live music by The Captain! Have a great week! ALOHA! 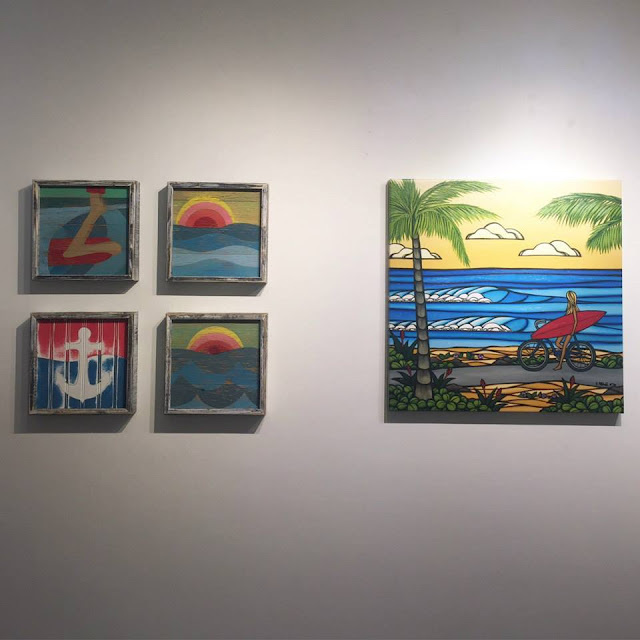 Sharing a wall of original art with my man The Captain Surfs at the Greenroom Gallery in Waikiki! 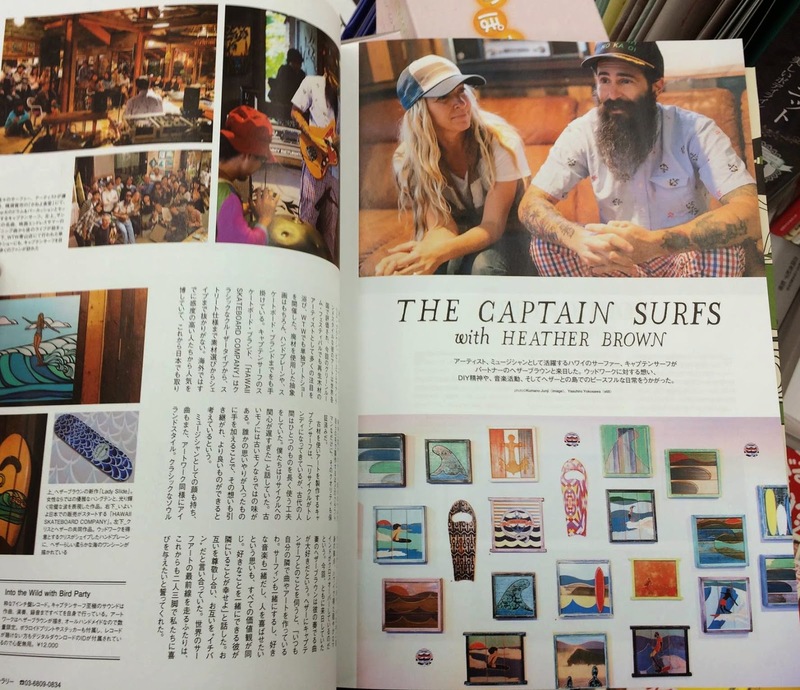 Big Mahalo to Blue Magazine for the feature in this months issue about The Captain Surfs and me and Bird Party! New Limited Release Skateboards Now Available! 3 designs to pick from, and when they are gone.....they're gone for good! 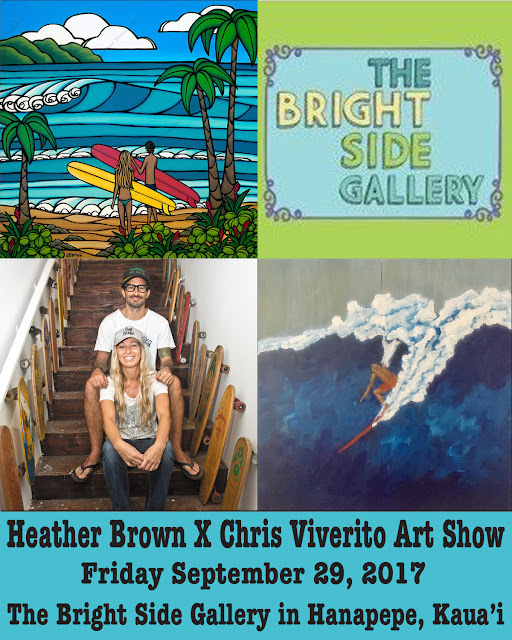 Check them out at HeatherBrownArt.com or at The Wyland Galleries on Oahu and The Greenroom Gallery in Waikiki! Still time to order and receive for Christmas!! 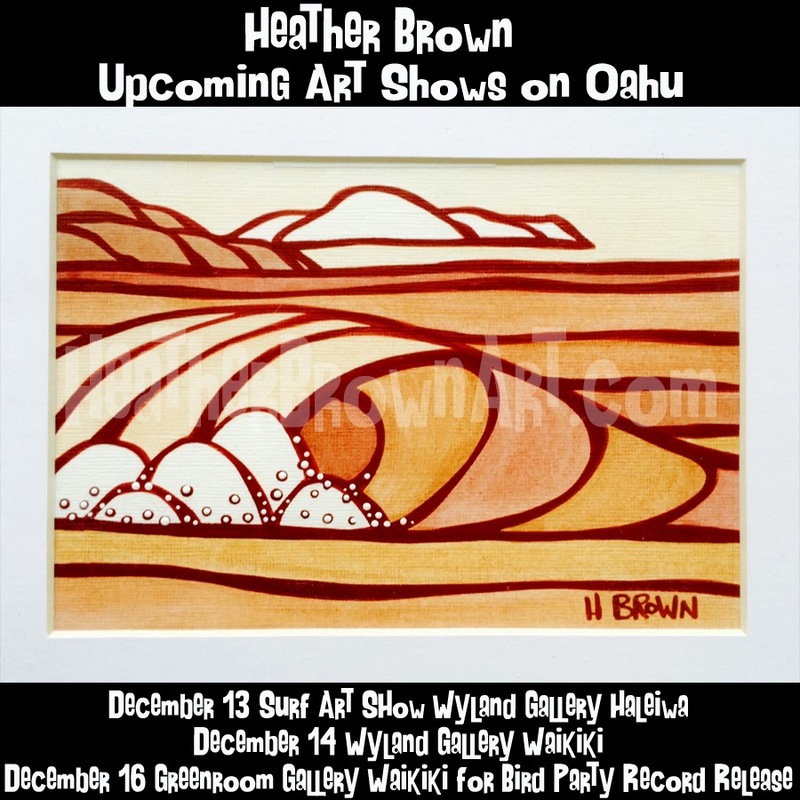 I have 3 upcoming shows this December back home on Oahu, Hawaii! 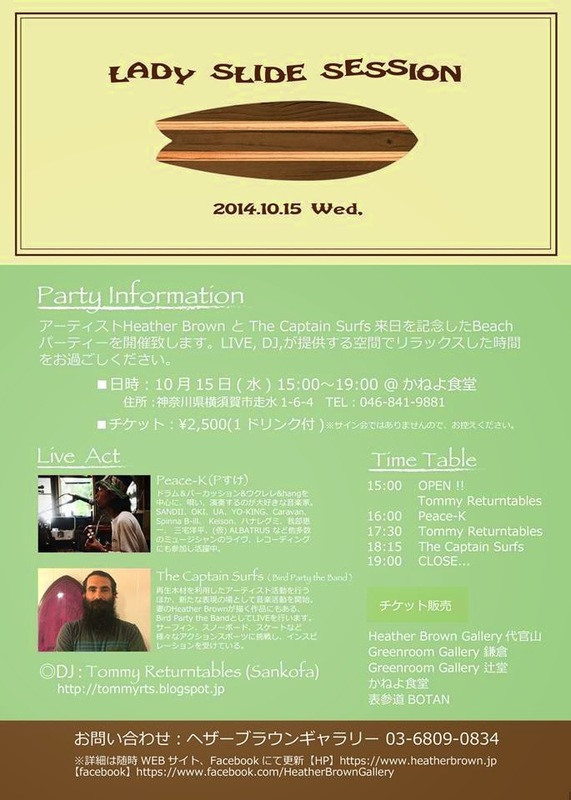 December 16, 2014 : The Captain Surfs and I will be having a record release party for our new art/music collaboration project "Into the Wild with Bird Party"
Well it's November and October sure did fly by (guess thats what happens when you are in multiple countries gone from home for a full month! ) November is always one of my favorite months too and I am looking forward to this great month ahead!! 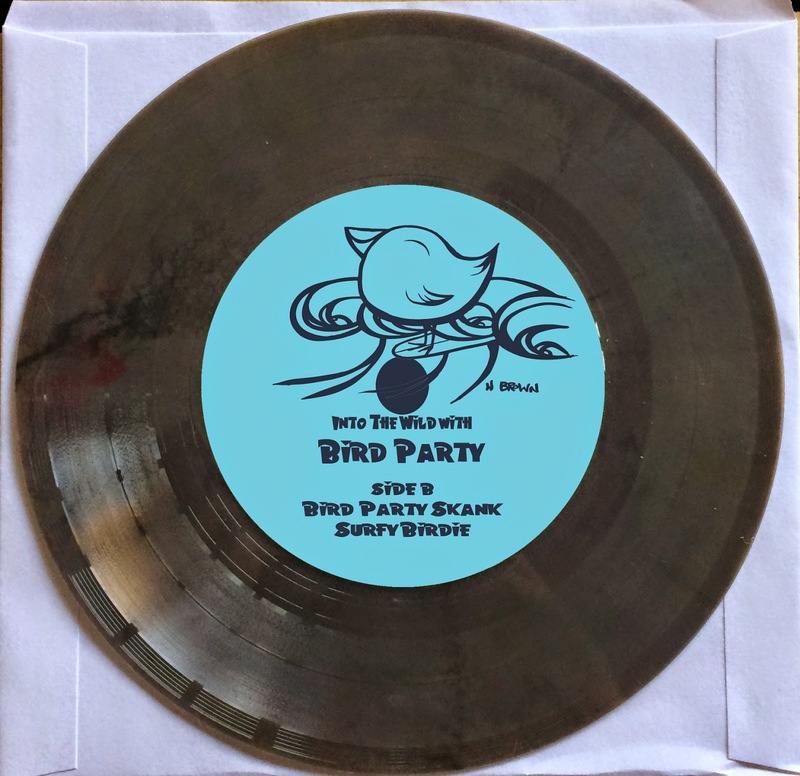 Just as we are about to depart on a month long tour in Japan and Australia, we received all of our test prints for the upcoming "Into the Wild with Bird Party" Limited Edition Box Set! 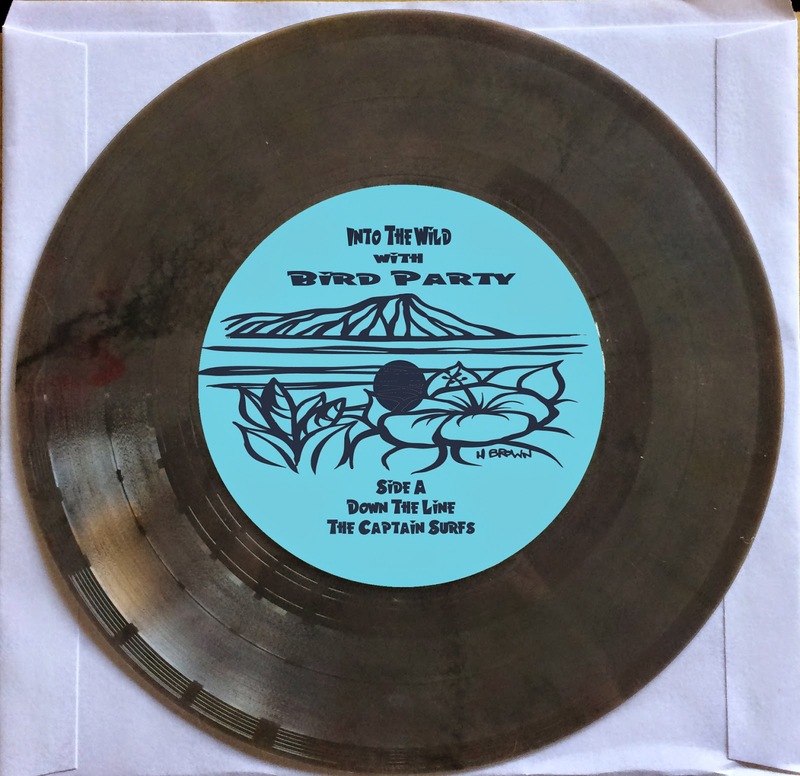 Heather Brown and The Captain Surfs release "Into the Wild with Bird Party"